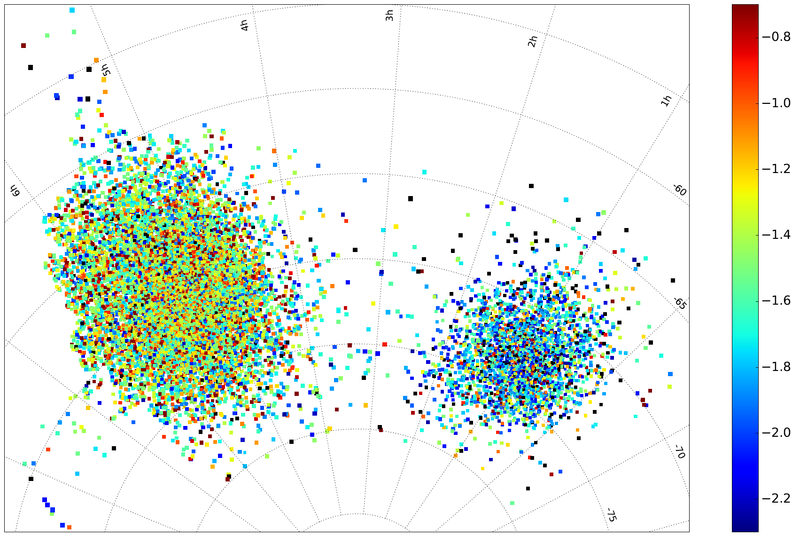 In an era of extensive photometric observations, the catalogs of RR Lyrae type variable stars number tens of thousands of objects. 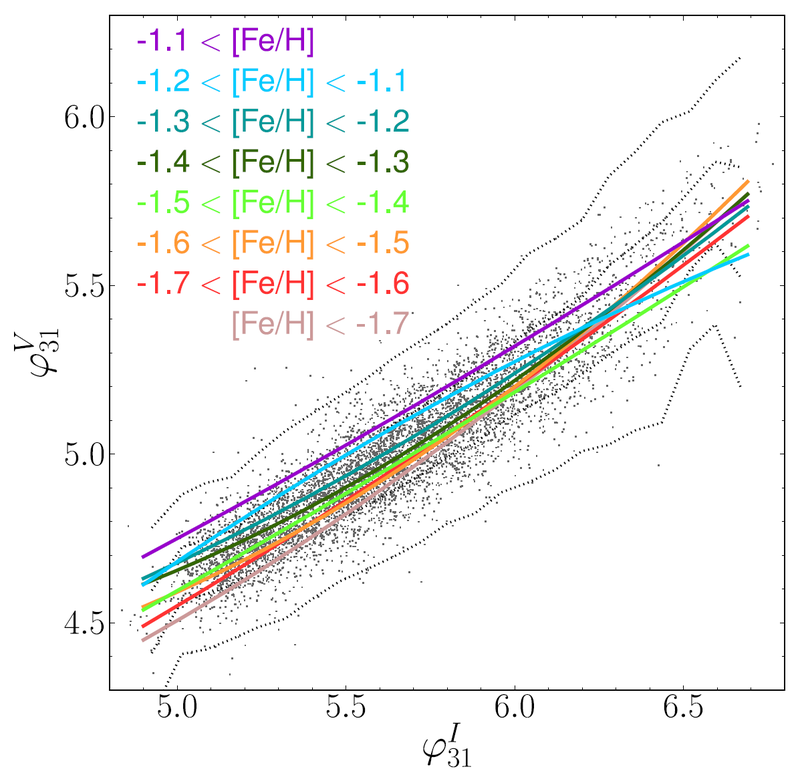 The relation between the iron abundance [Fe/H] and the Fourier parameters of the stars light curve allows us to investigate mean metallicities and metallicity gradients in various stellar environments, independently of time-consuming spectroscopic observations. 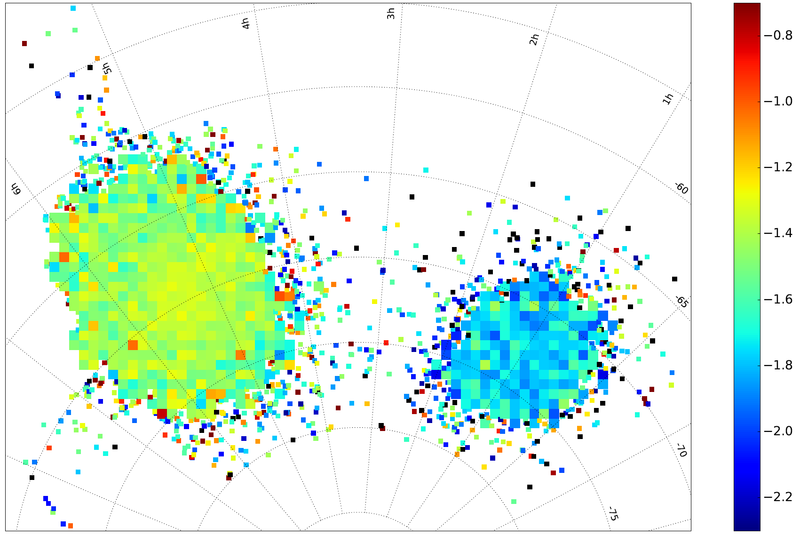 In this paper we use almost 6500 V- and I-band light curves of fundamental mode RR Lyrae stars from the OGLE-IV survey to provide a precise relation between the V- and I-band phase parameter phi_31 used to estimate [Fe/H]. 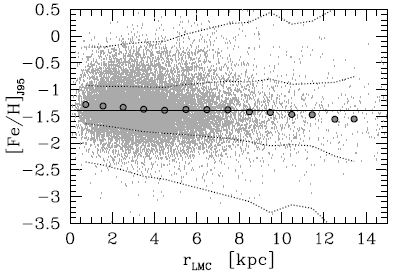 The relation depends on metallicity, which limits its applicability. 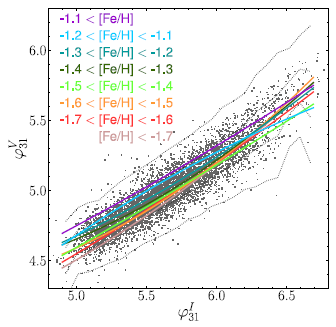 We show that the metallicity dependent (I->V) phi_31 transformation formula is only slightly less accurate than the metallicity independent one, so we apply the latter to photometric metallicity formulae developed for the Johnson V- and the Kepler Kp-band to obtain the relation between [Fe/H] and phi_31 for the I-band photometry. 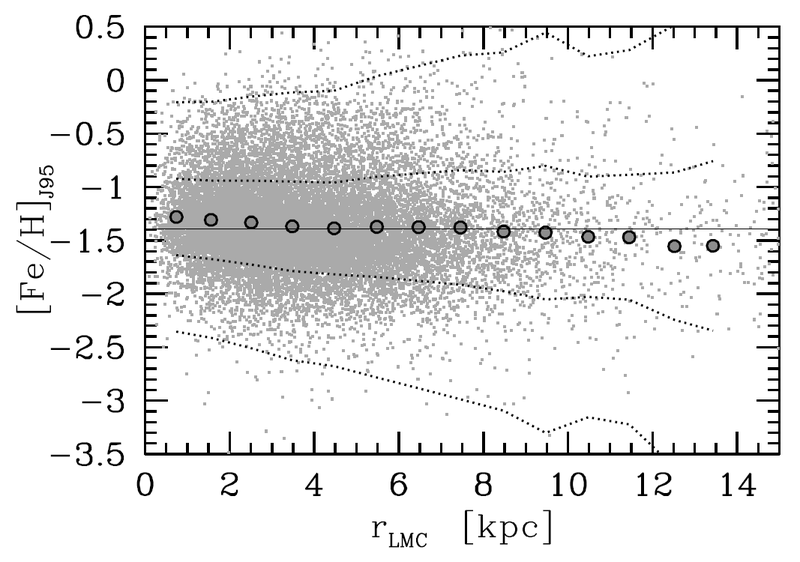 We apply the new relation of Nemec et al. 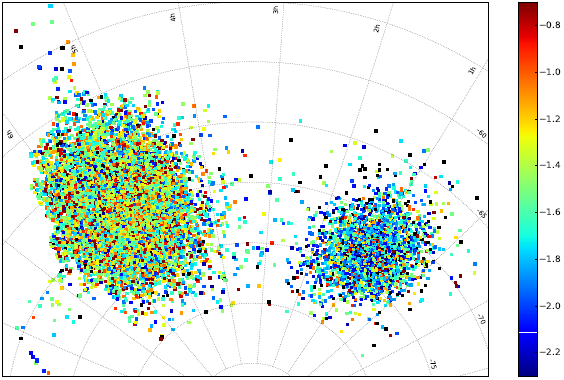 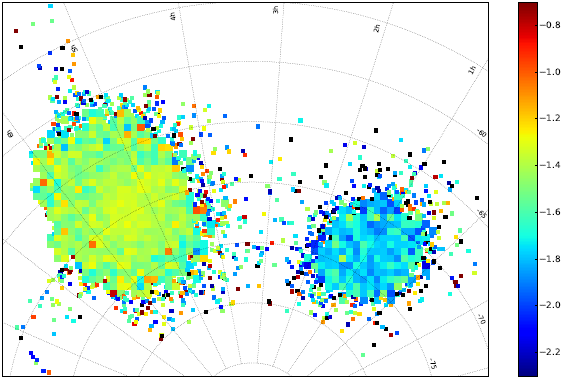 (2013) to the OGLE-IV fundamental mode RR Lyrae stars data and construct a metallicity map of the Magellanic Clouds. 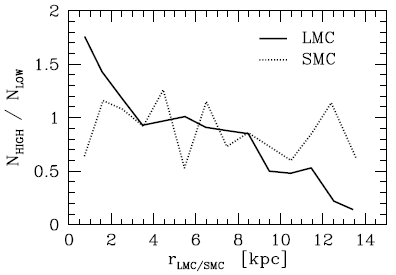 Median [Fe/H] is -1.39 +- 0.44 dex for the LMC and -1.77 +- 0.48 dex for the SMC, on the Jurcsik (1995) metallicity scale. 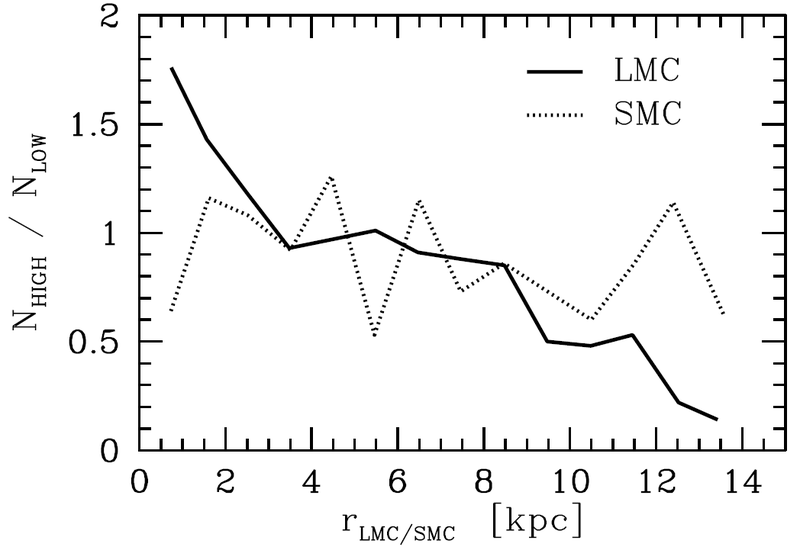 We also find a metallicity gradient within the LMC with a slope of -0.029 +- 0.002 dex/kpc in the inner 5 kpc and -0.030 +- 0.003 dex/kpc beyond 8 kpc, and no gradient in-between (−0.019 +- 0.002 dex/kpc integrally). 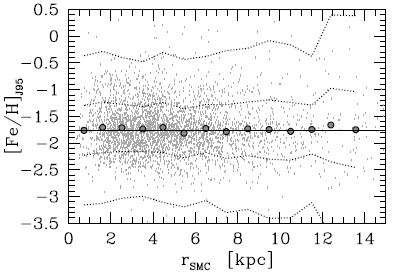 We do not observe a metallicity gradient in the SMC, although we show that the metal-rich RRab stars are moreconcentrated toward the SMC center than the metal-poor.